Fidia & Ilma Plastica | FIDIA S.p.A. Towards “zero adjustment”. 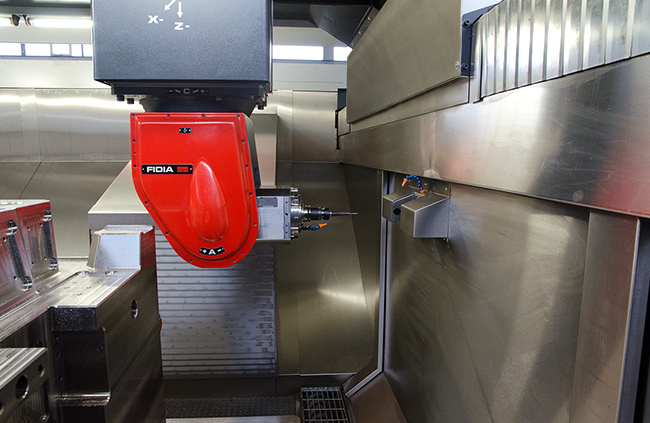 Fidia GTF Gantry: quality has a new shape. 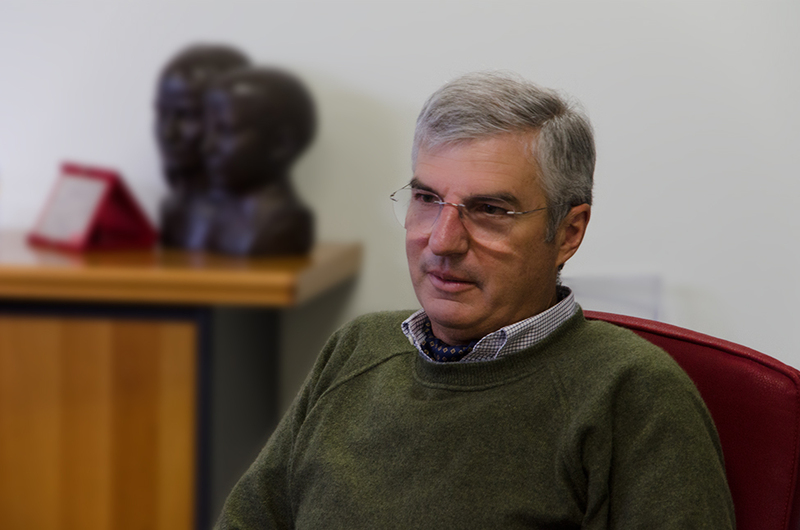 “Today a mould is no longer a simple “open-and-shut” case, but a structured machine, a puzzle with different pieces that move via kinematics, cams and fluid dynamic criticalities; it is extremely complex and ultimately, it must be perfect to withstand the whole production cycle.” Speaking is Antonio Caraffini, third generation after Dante and grandfather, Antonio who in 1938 founded Ilma Plastica, an historic firm in Oltrona di Gavirate (VA), Italy. “Today it is essential to have excellent machinery because the market leaves no room for errors, and once they leave the factory, moulds have to be fitted to a press to start production immediately.” To hear what he thinks about the latest machine installed, a Fidia Gantry GTF3514, we have come to visit the company, one of the most important manufacturers of moulds for plastic injection moulding. 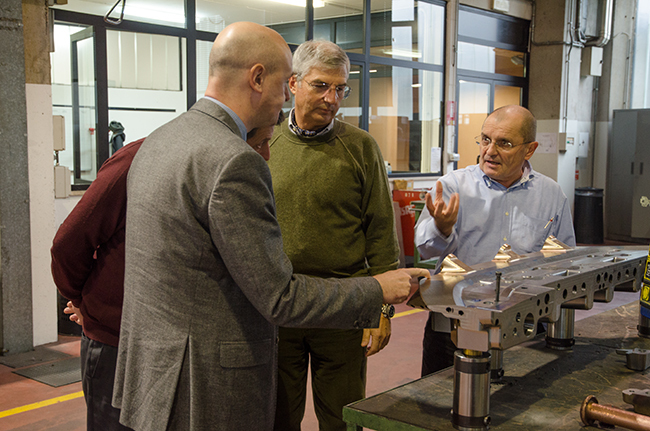 As well as Company President, Antonio Caraffini, we met with Technical and Production Director, Leonardo Volponi. Compared to when we were all looking to China to manufacture moulds, now there is a return to Europe for orders, even by US customers, although in spite of this, we have seen a drop in prices. We are therefore constantly and urgently seeking solutions to optimise our processes. We do not have the possibility to lose even an hour because we no longer have any profit margins: clients are those who set the prices. Today, our jobs are commissioned by purchasing departments which often do not consider that, if a mould is faulty, over its 8-10 year lifespan, then production interruption and reconditioning will cost far more than any original savings. 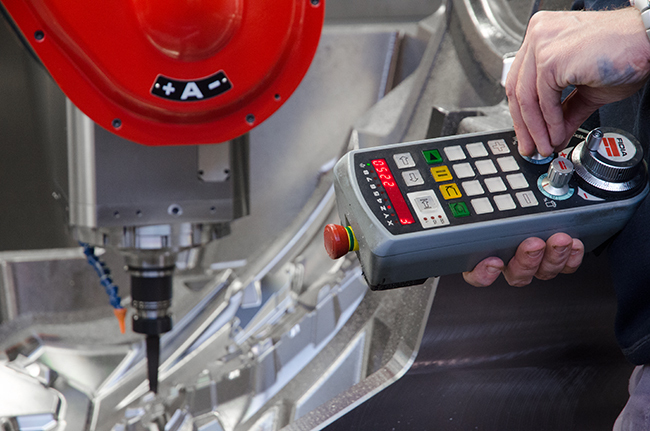 At Ilma we have a different approach, when we buy a machine tool, we study it from a technical point of view and our choice is mainly based on guaranteed performance over time. When focusing on “zero adjustment” it is necessary to be absolutely certain of the machining process. The GTF is agile, ergonomic and the perfect size for us. So what were your expectations after purchasing the Fidia GTF machine? 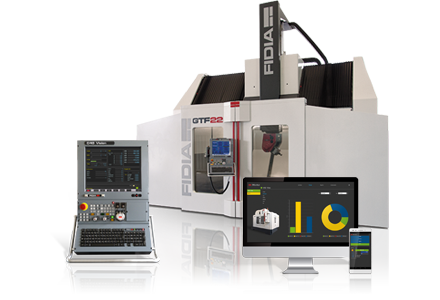 The “zero adjustment” function is essential for us and we are pushing as far as we can our super-finishing operations: this is the reason why we chose Fidia GTF 3514/MA2200 machine. 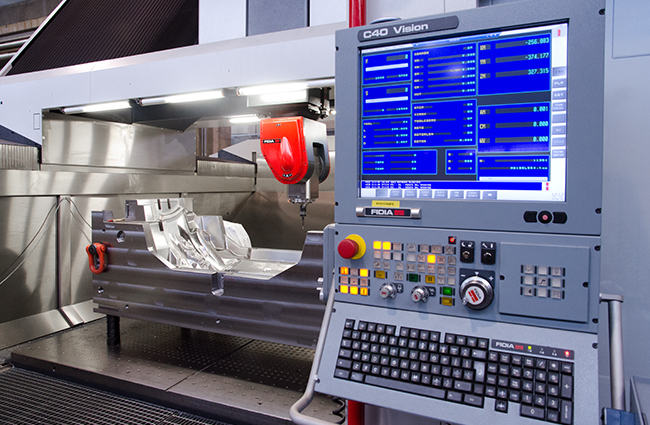 To achieve our target we have focused on execution speed, precision and machining quality. When we say “adjustment” we don’t just mean the final adjustment but also all the intermediate stages, such as machining the housing for the inserts. 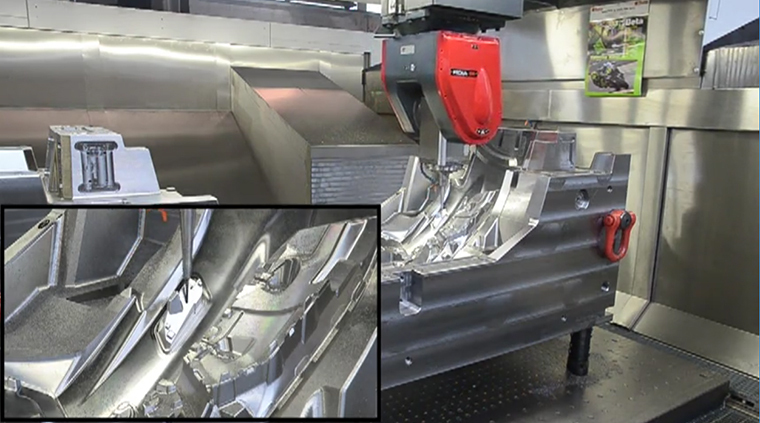 When focusing on “zero adjustment” it is necessary to be absolutely certain of the machining process because going beyond a limit and removing too much material would be a serious problem when making a mould. We are still fine-tuning the process, but we are already using the GTF for complex tasks. The machine installation has been impeccable. The parallel setting between the crossbeam and the table with travel over 3 metres is within a tolerance of 5 micron. Absolutely perfect! The GTF is agile, ergonomic and the perfect size for us. We had no reason to choose a larger machine. With this in mind, another thing that influenced our choice was the self-supporting structure of the machine which makes it simpler - if needed - to move it to another area of the factory, as well as saving money for installation as there is no need to provide a specific foundation bed. We are aiming to finish the mould on the machine, to achieve a finishing degree that needs no more adjustment and where manual operations are restricted only to polishing. What are the other critical aspects of your sector and how can you use our technology to meet these challenges better? We are aiming to finish the mould on the machine, to achieve a finishing degree that needs no more adjustment and where manual operations are restricted only to polishing. 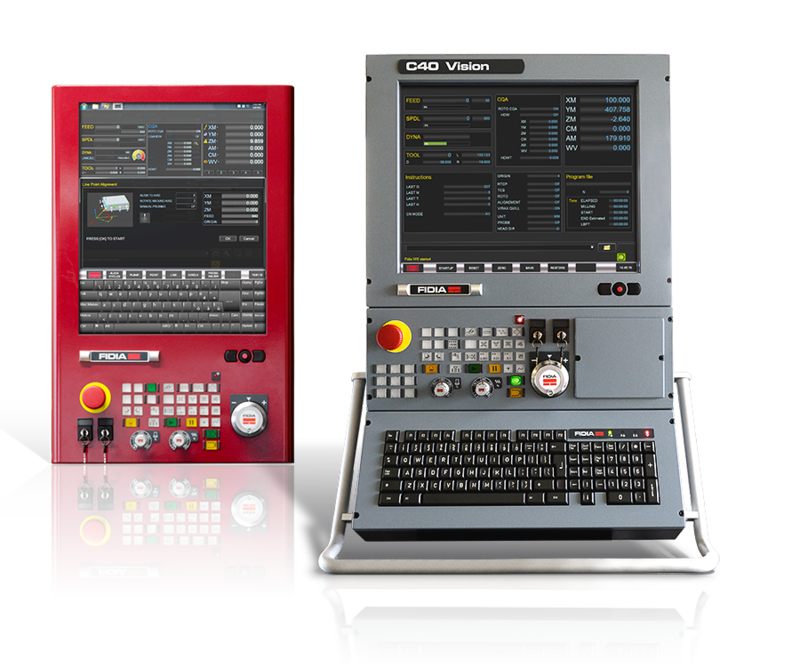 This cuts costs and processing times, allowing us to meet market demands even better. To optimise the finishing stage, it is important to leave a constant amount of material on the mould, as to say 0.3 mm, including the radius area. 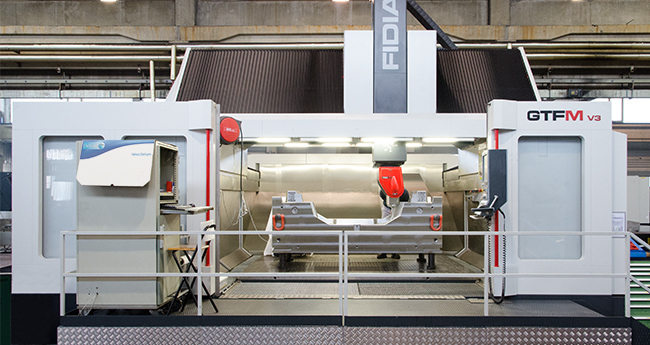 At this point we finish the mould on the Fidia GTF: constant removal guarantees the ideal conditions for finishing. To obtain the best results, we have also begun to cooperating with cutting tool suppliers. The choice of the best cutting tool is vital. 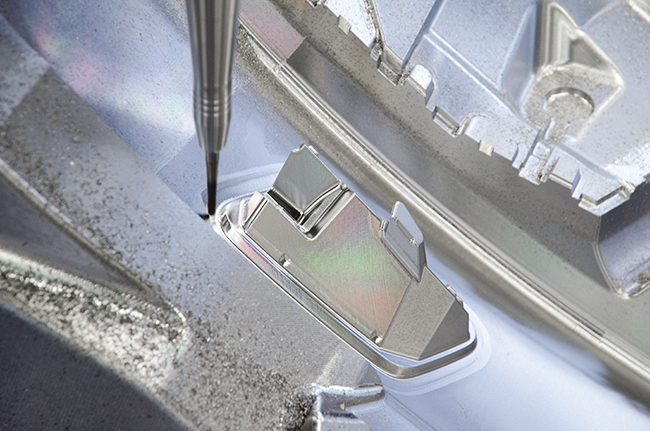 Tools need to be specifically conceived for high-speed machining and guarantee constant behaviour throughout the machining process. The quality of the materials moulded is also an important part of it. Polypropylene was good quality when made in Europe or the US, but currently, this is not the case, since it is made in countries where the same quality standards are not applied. This influences the moulding process and those who design and build the mould have to take this into account: the increasing reduction in thickness also means that the punch screw side print would be visible on the painted piece. To get around this problem, it is necessary to create a perfect mould, with minimum tolerance on the inserts. The mould maker also has to intervene on the design for the product to take into account the requirements of the moulding process, which are often ignored by the client. These are the stages in our technological union with Fidia? Our collaboration with Fidia began around this very table, with Beppe Morfino and Romano Agosta in ’77. My father was not convinced that a numerical control machine could carry out the machining processes that were available on copier machines. Since we had taken a job for a mould that was larger than our capacity allowed, we needed to get the right equipment. 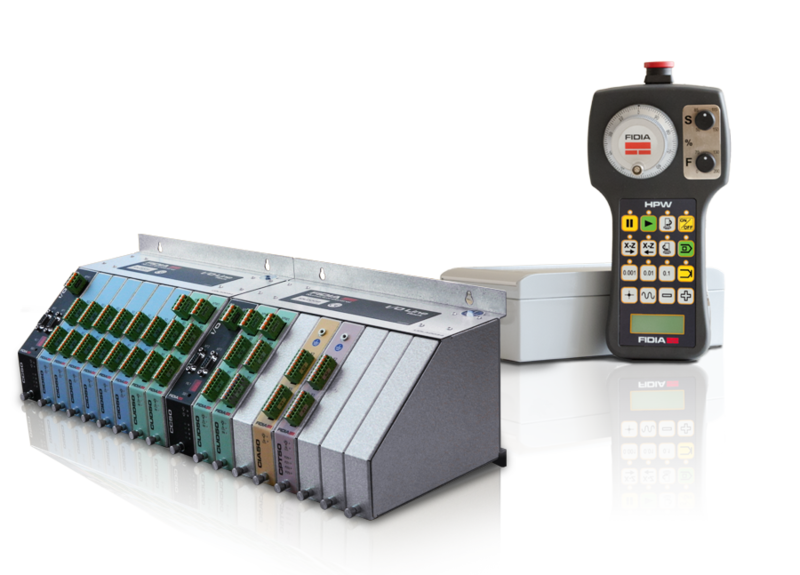 We were considering a traditional hydraulic copier when Mecof suggested a machine equipped with Fidia NC control. We went to Vibram, just a few kilometres from here, to see the first CNC machines by Fidia and that visit was enough to convince us. We chose the Mecof machine with one of the first Fidia controls: number 40 to be precise. In those years, moulds were made by copying wooden and resin models. Cutting was carried out very slowly; the process guaranteed a tolerance in the range of 0.5 mm and required long time for adjustment and fine tuning by hand. CAD three-dimensional design revolutionised our industry: wooden models were left behind and CNC machining brought technological improvements and a phenomenal leap forward in terms of quality. In spite of our customers’ initial reluctance, we pushed in this direction, confident that there would be no turning back. 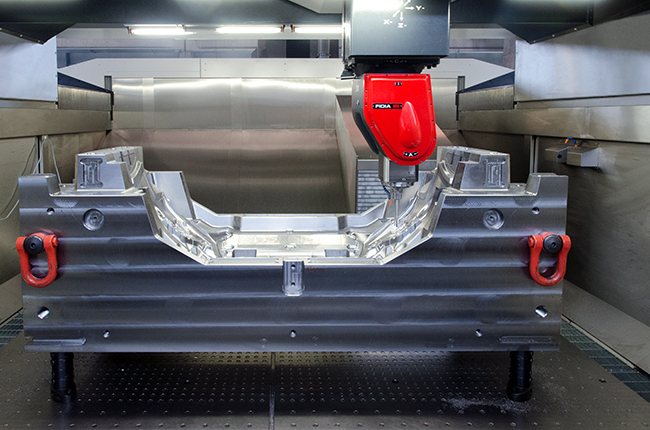 Today we are able to guarantee tolerances of 0.05 mm, even on large-sized moulds. And in terms of adjustment, we have gone from the three weeks on two shifts to just two days! 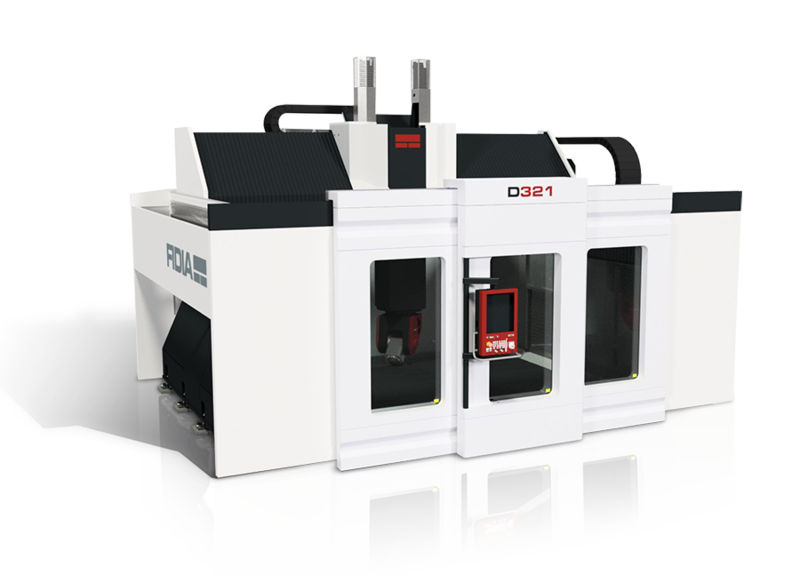 The “zero adjustment” function is essential for us and we are pushing as far as we can our super-finishing operations: this is the reason why we chose Fidia GTF 3514/MA2200 machine. What were the Fidia machines like at the start, and especially the high speed models? Having a Fidia CNC in the workshop allowed us to enter the CAD world. 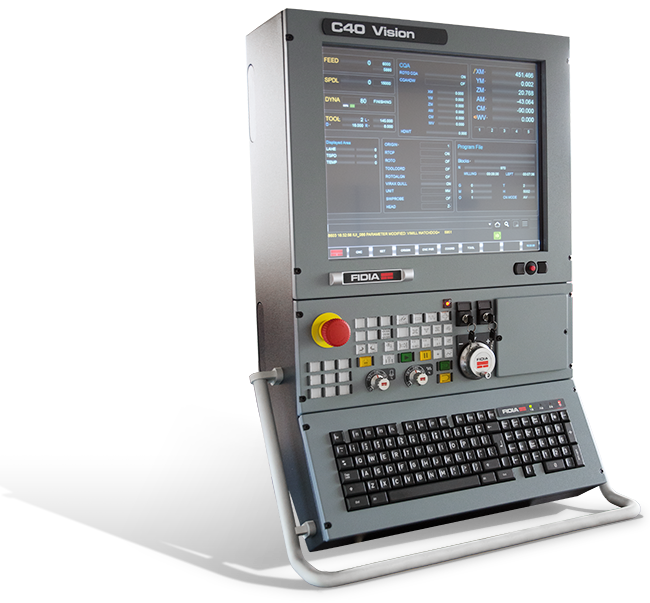 To process data provided by our customers, we installed a Gerber Technology System CAD 3D. We developed the first experiments in the television set industry, where US companies such as RCA and Zenith immediately saw the opportunities that we could offer when it came to using the CAD models they supplied us. Changes came about more slowly in the vehicle industry, which was less confident in using this new technology. At this stage the first Fidia milling machine we bought, a K165 to machine electrodes was extremely useful. In those times clients, who were reluctant to trust CAD models, were asking us to make large electrodes to erode the mould. This intermediate step allowed us to overcome their concern by giving them the opportunity to test for themselves the final result. 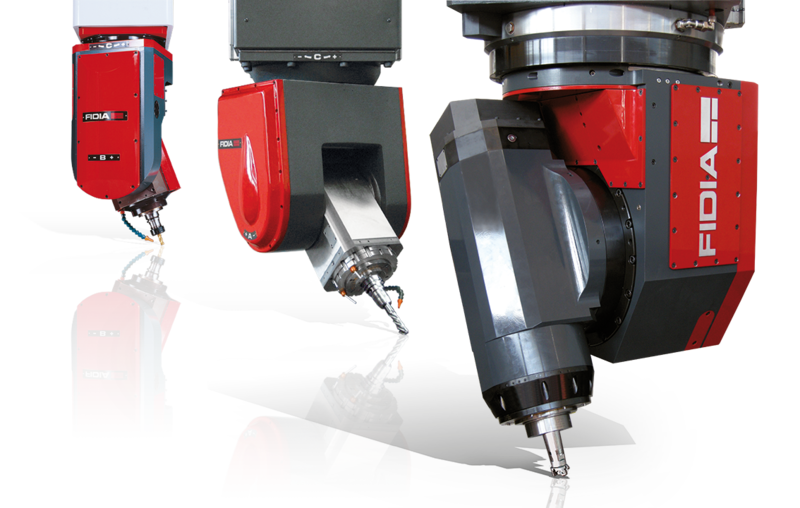 After this step, machine tools developed in terms of finishing speed, because in some way, the customer’s approach had changed. But it wasn’t so easy: I clearly remember that we literally had to impose to stop using models. 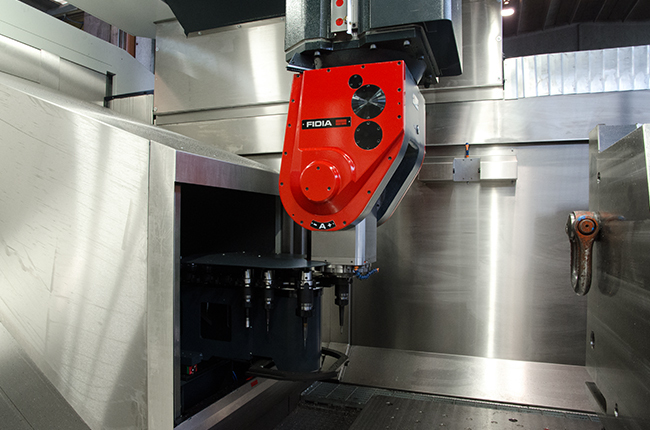 The first high-speed machine we installed was an FPT Dino with Fidia C20 control, followed by a Fidia KR214 5 axes milling machine with rotary table. 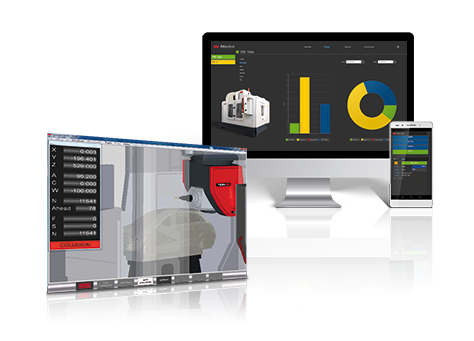 In particular we appreciate the flexibility of the Fidia control, which offers specific tools to machine moulds, developed over many years working with companies in our industry. Shall we end with some feedback on Fidia? Are you satisfied? Would you like to tell us about anything you think we could improve? Fidia’s growth over the years has been notable. I could compare it to Ferrari: always seeking the best, offering innovative solutions that might need a bit of fine tuning but that nevertheless give the highest performance in this field.